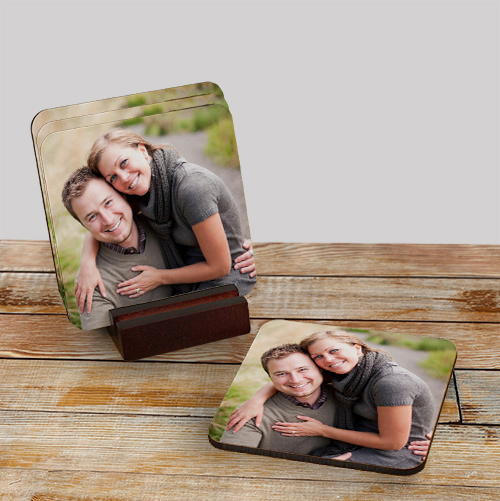 Our Personalized Photo Gifts Coasters Sets are perfect for a special Anniversary, Birthday Party or Bridal Shower accessory. Includes FREE Personalization! Upload your favorite digital photo below. Please don't send any photos in the mail, digital photos only. Buy Personalized Picture Gifts Today! Recommended image pixel resolution (dpi) is at least 500 x 500. These coasters are great quality! The photo is perfect. They turned out to be a great gift. They are a cool house warming gift or any personalized gift. Love them!